Autoflower cannabis plants are a new development in the cannabis market, and it has really exploded the last few years – even Google knows it. Searches for autoflowering marijuana has doubled over the last single year. People are getting increasingly excited, interested, and curious about it. There is a good reason for all this excitement. This isn’t a typical marijuana trend; it could be a total game-changer. 2. They grow very quickly, have high yields in comparison to their size, and are even more resistant to pests and insects than other marijuana strains. 3. Ready to harvest in 10 weeks! No matter what the lighting situation is like in your outdoor or indoor grow setup, they follow the growth schedule embedded in their genes. They will flower after a certain amount of time, not after the light begins to change. All this opens up a lot of new possibilities for many growers. This article is intended to keep you informed about this development in the marijuana world. There are plenty of different autoflowering marijuana strains, and no two strains are exactly the same. Some people think of autoflower marijuana plants as lower quality than more conventional and traditional types of marijuana. Others consider it a godsend that makes life significantly easier for us growers. Whichever category you fall into, it may be important to learn more about it, and the different options out there. So what is an autoflower marijuana plant? To fully understand this, it’s best first to know a bit more about marijuana itself. Marijuana is a photoperiod plant, which means that its life cycle (specifically the flowering phase) is influenced by changes in the timing of exposure to sunlight. Through this logic, growers can manipulate the growth of their indoor plants with ease. Young cuttings can be spurred to enter the flowering phase simply by giving them 12 hours of uninterrupted darkness every night for a couple weeks. Older plants growing outdoors won’t enter the flowering phase until this same light change affects them through the natural seasonal variations. These don’t occur until after the middle of summer. Autoflower strains of marijuana flower when the plants are a particular age, rather than flowering in response to changes in light exposure. This means that, regardless of the weather and sunlight patterns, they will enter the flowering phase after a certain number of weeks. This, understandably, has opened the door for all sorts of new possibilities in the marijuana growing world. The addition of autoflower marijuana strains comes from the crossbreeding of ruderalis plants, with a “standard” marijuana plant. Because ruderalis plants were not cultivated for their high THC content (given the fact that the THC levels were very low), they were not grown or used by smokers very often at all. For this reason, the dominant traits of the first autoflower strain had to include high THC levels from the “standard” marijuana strain half, and the autoflower genetics from the ruderalis half. The process was difficult, and largely unsuccessful at first. For this reason, not too long ago, growers did not readily trust autoflower strains, because of their low yields and low THC levels. They ended up being considered a scam, of sorts. Things have changed, however. The autoflower strains on the market today are just as reliable as any other strain – just be sure to purchase them from a reputable source. The THC content will also be as high as it is described in the online information provided about the strain. With these traits stabilized, and the number of high-quality strains of autoflowering marijuana increasing all the time, the dawn of the age of autoflower has finally come. Autoflower strains of marijuana generally have a shorter life than other types of marijuana plants. Their quick turnaround is part of their appeal for growers who want more than one harvest per season. An autoflower strain usually takes around 10 weeks before they are ready to harvest. When considering an autoflowerharvest, it is important to remember that it will be different from the harvest of other types of marijuana. Certain limitations that come with the plant’s not having the time to grow as long and that includes the fact that it will be smaller. Consequently, the harvest will be, too. Your yield can only be so high when you grow smaller plants. Some of the highest quality autoflower marijuana strains require ten to twelve weeks for full growth and flowering, to achieve the best possible harvest. It mostly depends on the strain you grow. Be sure to read the information provided for that specific strain, as well as any comments and tips from people who have successfully grown the strain before. When you grow any kind of marijuana plant, it is crucial to start the growing season, and entire life cycle, rooted in strength. With the short life span of autoflower marijuana plants, this is especially important. The very beginning is the time to support your plants so they have as much growth as possible. If this is not done, you may end up with a harvest that is infinitely more disappointing than the “normal” marijuana harvest failure. The room for error is smaller with autos. For this reason, it is often recommended that people who want to grow autoflower marijuana plants start growing them indoors, with artificial lights they can control. Indoor growing decreases the chance for error and favorably controls each aspect of your plant’s early life. A strong start ensures that it will get everything it needs to thrive, both now, and later on. Properly germinating your marijuana plants is crucial to their healthy development, as well. This can be done naturally in soil, or in a container without any growing medium. I always germinate my seeds in water. 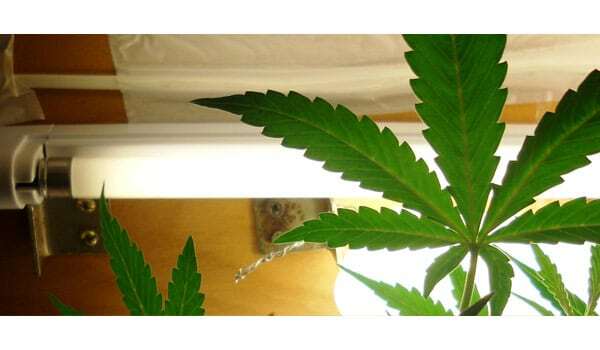 Read the article How to germinate marijuana seeds for more information. Most autoflower marijuana growers I know actually prefer the paper towel method. It simply involves placing a seed within a damp paper towel, or length of toilet paper, and putting it in a container of some sort that will retain moisture and humidity. This should cause the seeds to sprout within days. After they sprout, they should then be transplanted to their final growing medium. After this, do not transplant them again if you can help it as autoflower plants are small and are vulnerable to greater transplanting shock. For now, cuttings are not a great idea with autoflower marijuana plants. The problem is that, while you can easily take a cutting successfully, you have to remember that the plants will autoflower after a certain age. The cutting’s age will merge with the parent plant’s age. This means they will flower at the same time. So if you are growing a cutting of an autoflower plant, the final plant will be much smaller than the parent, when it enters the flowering stage. When all this is considered, cuttings aren’t exactly worth it, as these particular plants are already small to begin with. Once your autoflower marijuana plants have reached two weeks of life, you can feed them a small amount of vegetative nutrients. Feed them higher quantities of it gradually over time, until your plants are either six or seven weeks old. Don’t switch over to flowering nutrients until you have visibly noticed a stop in its vertical growing. Even if the flowering phase started a week earlier, don’t be premature with the flowering nutrients. Be guided, instead, by the ending of vertical growth. The other is to allow them some rest every day, and give them 18hours of light, and sixhours of darkness. It all depends on your personal preferences, as well as the strain that you are growing. One specific go-to example is to use 120-watt LED lights for the first few weeks of growth, and keep it going for 21 hours each day. In this case, the light should be set up between 70 and 80 centimeters away from the plants. Once you have potted the older plants, you can convert to larger LED lights, and a schedule of 18 hours of light, and 6 hours of darkness. While pruning (topping, specifically) can be done in a positive and helpful way with autoflower marijuana plants, certain modifications are needed when pruning regular marijuana plants. For instance, the pruning needs to take place very early in your plants’ lives, to avoid obstructing its vegetative growth later on. Puring autoflowers, a good idea? That being said, many growers claim that pruning autoflower marijuana plants at all is a bad idea and should be avoided altogether. They say pruning will lower the autoflowers’ harvest. If you really want to take the risk, try doing it with an autoflower strain that has been proven to take a bit longer than the others. This way, it has more time to recover and grow, after the pruning has taken place. If everything goes well during your autoflower grow season, what can you expect in terms of a harvest? Keep in mind that the perfect environmental elements include being around 73°F, 55% humidity, 400 watts per m2 for light, good air circulation, plenty of oxygen, and a solid nutrient regimen (among other things). To put it bluntly, your harvest will be proportionate to the length of time that your autos grow. In simplest terms, longer growth equals bigger harvest. Some strains that grow for about 3 months, for example, often average around 40 grams per plant. While longer-growing super autoflower strains might get between 150 and 500 grams per plant, when grown outdoors. Choosing when to harvest is also difficult, and equally important to all the other decisions you might make when growing autoflower marijuana plants. You generally need to check your plant’s trichomes to see when 50% of them are amber in color. The amber color signifies the point at which harvesting should take place. Make sure you stop watering the plants for at least one or two days before you harvest them so that their extra nutrients go away. Curing your autoflower marijuana buds helps them turn into the delicious product that every grower desires. If you cure them poorly, then your efforts will not pay off in great taste. Curing should be done inside an airtight container. This is so the moisture can spread throughout evenly, and move from the middle of the bud, where it is originally held. During the process, open the container several times per day for a few days straight. Eventually, you should only open it once a day or longer, until the buds are thoroughly cured, several weeks or months later. Once they have finished curing, the buds should not have much moisture left at all. A tiny amount of moisture is still good for smoking, though. Extra dry buds actually make the smoke more unpleasant. Store the marijuana inside a sealed container, such as a plastic bag or glass jar. Smoke it within several months, to one year. After a year, it is unlikely that the product will be as pleasant for smoking. Keep it in a dark, cool location. Freezing it can keep it fresh longer. 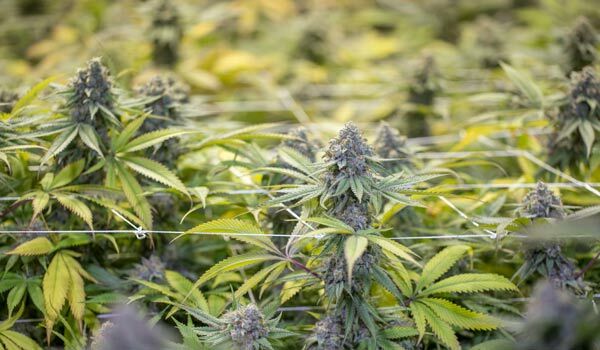 Although there are certainly plenty of downsides to growing autoflower marijuana plants, they also have some very compelling advantages, as well. Many would argue that their true value lies in being grown asoutdoor plants. Or, perhaps even better, many might grow them for some time indoors, and then finish their vegetation and flowering stages outdoors. This usually involves between 1 and 1.5 months of indoor growth, to maximize their vegetative stage. Then, they are moved outdoors (assuming the temperature is not colder than 50°F). The reason this is considered such a good thing is because you can get several harvests within one plant’s normal growing season. While a huge plant will get you a massive harvest at the end of its growth, it takes 8 to 9 months to ever get that far. Of course, this also leaves more room for unexpected obstacles to mess up your harvest before you even get there. With the autos, however, you can have numerous crops growing in the same space of time. You are, therefore, achieving smaller harvests incrementally while avoiding a long wait to consume any of the buds. Your work is secured, and you are given you several “chances” within the same amount of time, in case one crop gets somehow ruined. 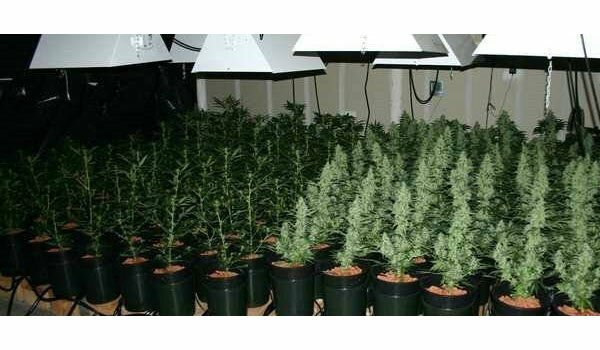 Autoflower marijuana plants will always be shorter than regular marijuana plants. This means they will not be as easily spotted as the more massive marijuana plants (which definitely tend to attract unwanted attention). Even if you are growing them in your own personal garden on your owned property, they can still easily go undetected throughout the span of their entire growth cycle, because of their small size. For a reference, the most efficiently grown autos have one square meter each to themselves to grow to their full size (and harvest) potential. One of the major negative aspects of autoflower marijuana plants is the fact that they cost quite a bit of money to purchase the seeds to begin with. It is likely that these prices will eventually drop as this type of seed become more widespread. Until then, you can breed your own seeds to get the best bang for your buck; however, there is a considerable expense in that as well. The short lifespan of autos means that – assuming you want to grow and harvest as many plants as possible within one season – you are going to need a lot more seeds than you would with normal marijuana plants. In some locations, this would even mean that buying harvested, dried, and cured marijuana could actually be cheaper than growing your own autoflower weed. Because many people would like to experiment with this emerging new trend, but want to avoid spending an arm and a leg, breeding is likely the best alternative. It is a surprisingly easy process and is well worth the effort when you consider the smaller harvest per seed in autoflower marijuana plants, compared to normal marijuana plants. Let’s look at the advantages and disadvantages of growing autoflower marijuana plants, instead of regular marijuana plants. First of all, you have the chance to attain a higher variety of marijuana when you grow autoflower marijuana plants. This is because of the shorter growing season. So within one season, you can grow approximately three separate strains, and get that many different varieties of marijuana for smoking! This is especially valuable for people who are growing just for themselves and prefer a range of highs, which can change depending on their mood or preference that day. Therefore, autos can help keep things fresh and exciting on the marijuana smoking front. There is also somewhat less hassle involved — at least in certain aspects. For example, you will not need a complicated setup with one grow room and one flowering room. That means that, even if you had the space for that many rooms, you could instead use that space to time your growing so that you can harvest every few weeks. You also won’t have to be so careful with your lighting setup, and grow room light-proof sealing. This is because light leakages have no impact at all on your autoflower marijuana plants’ flowering phase. Another advantage is multi-crop systems, which are compatible systems that overlap nicely. They allow you to harvest a new crop every few weeks, and can be set up outside. They don’t require much space in your garden and are unlikely to attract much attention if any. In the case of power outages (which can be more frequent for people in certain locations), normal marijuana plants could have their growth and flowering phases interrupted, and their harvests consequently damaged. You will not have these issues with autoflower marijuana plants. It is also thought that, because autoflower marijuana plants contain genes from the ruderalis marijuana strain, they may be hardier than other types of marijuana plants. This idea comes from the fact that ruderalis plants are very hardy, and can handle cold and other obstacles better than photoperiod plants. These plants will also work well in indoor and outdoor areas that have height or size restrictions. Finally, if your growing friends are already growing their own photoperiod marijuana, you can enjoy smoking your own marijuana, while they wait and wait for their own harvest to be ready. In terms of light usage per gram of harvested bud, autoflower marijuana plants are less efficient than regular photoperiod plants. This is because you will need the same amount of light per plant although these smaller plants have smaller yields. 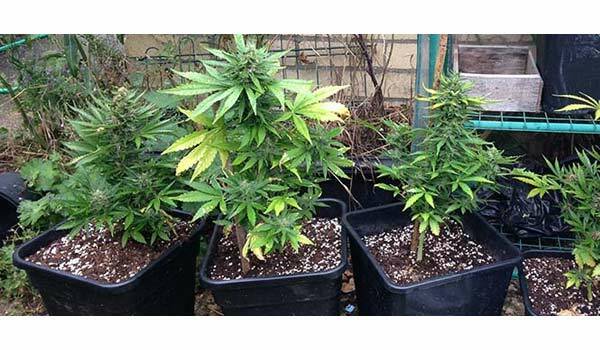 Additionally, autoflower marijuana plants tend to be inconsistent in terms of their speed of growth, and their size. Even individual plants within one particular strain might have varying sizes and growth patterns. This makes certain types of growing methods, like hydroponics, particularly difficult — if not impossible. Sometimes it will be necessary to harvest one crop several times until all of the plants have been harvested because they flower and mature at different rates as well. Some smokers of autoflower marijuana will complain that the aroma of their product is not as strong as that of regular photoperiod marijuana plants. Whether this is a pro or con might depend on your own personal preferences, of course. A normal photoperiod marijuana seed has a 50/50 shot at being either male or female. This is an unfortunate statistic for the average marijuana grower who is only interested in growing unfertilized female(sensimilla) plants. If you get feminized seeds, on the other hand, you can expect nearly every seed to turn out female. Autoflower marijuana seeds are not any different in regards to these ratios. Hermaphrodites can be expected in either case and should be watched out for, even if you are expecting all female plants, like when you purchase feminized seeds. If you have done any research into this new autoflowering trend, you have probably already discovered the term “SUPER autoflower” to describe many different seeds. So, what are these super seeds, and how are they different from other autos? The idea behind the super strains is that they are larger, but still share the same useful trait of flowering automatically. They are stronger and hardier than regular autoflower marijuana plants, especially when it comes to resistance against mold or pests. They were created specifically with the goal in mind of having a bigger, higher yielding autos. Perhaps one of the most challenging aspects of the autoflower marijuana plant growing process is deciding which of the autoflower seeds to buy first. This is an especially important decision if you are a first-time grower or even a seasoned veteran who has never grown autoflower strains of marijuana before. What taste and smell you prefer in your weed. If you have clearly defined these main points, then you will have a much easier time choosing the perfect strain for you. If you have the money for it, it is recommended to purchase feminized seeds, since it will significantly increase your yield (and you won’t need to remove 50% of the crop that turns out to be male plants). If you just don’t have the money for it, or would like to spend that money on other aspects of growing marijuana, then you can feel free to take the risk and keep an eye out for signs of male plants. Of course, if you are looking to breed more autoflower marijuana seeds, then you will at least one male plant, so don’t bother with the feminized ones, in that case. For smaller grow rooms, go for the Indica autoflower marijuana strain because they will be smaller, even in comparison to other autos. For outdoor grow setups or indoor setups that are large enough, a Sativa autoflower marijuana strain will be better since they will get to a bigger size and therefore have a greater yield. They will require sufficient space to grow large, of course. How do I buy the seeds ? I have found that when breeding auto- femminized seed, due to the rapid growth, the seed producer plant should be staggered several weeks from the pollen producer. Fyshhtrap, I have been trying to talk myself into going to autos 100%. Love the Super Skunk auto; "Robert's fav", but I just cannot quit wanting to grow Robert's Gold Leaf! :D For sure. I'm planning to grow autos soon, and I want to know, what's the best lighting for them ? Now keep in mind I'm on a very low budget. Any tips or advice would be very much appreciated.. Happy growing everyone! Sounds like fun :) Thanks for sharing. Happy growing! Great to hear John! Happy growing! I ordered the WW auto what soil should I use? wow- who knew a weed takes this much work? if you got them to grow outside in northeast in ur yard wouldn't it be like a perennial and u could just expect buds in fall and store accordingly once year? Hi, very new to growing. I am wondering if this schedule is also used with hydroponics system? And with my seeds being auto and feminized, do I need both the grow and bloom nutrients at very begining of start process? I got a question about harvesting autoflowers..Does the leafs change colors (autumn colors) only if we stop feeding it or it will change colors regard if we feed them or not? Just want to say, thank you for sharing your passion, time and knowledge. I appreciate it and the work you do. Thanks bud, your the best. First timer, need to know what l need.